I like this coin. It's real, not a restrike. Given the rarity and age, these are inexpensive - I paid $590.00 for this in 2014. 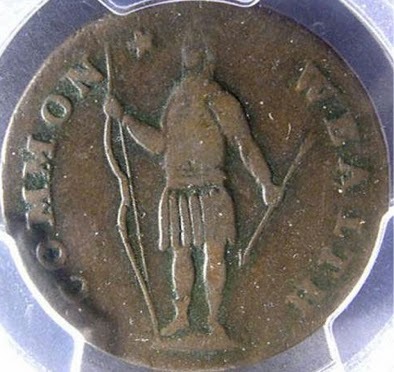 These coins are (I think) the very first to use the word CENT. 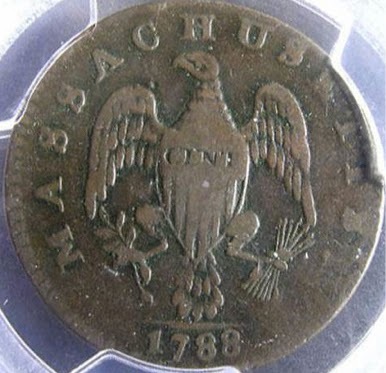 We do call the Fugio Coins "cents", but they don't say it and it looks to me like the 1787 MA cent was minted before the Fugio's anyway. See http://www.coins.nd.edu/ColCoin/ColCoinIntros/MA-Copper.intro.html for its history.